It was Christmas Day when we flew from Xiamen to Guangzhou, China aboard China Southern Airlines. For a relatively short domestic flight (1 hour and 15 minutes), they served us only a bag of peanuts and drinks as our in-flight snack. After a very comfortable flight we arrived safely at Baiyun Airport, which is about 20 kilometers (13 miles) north of Guangzhou. 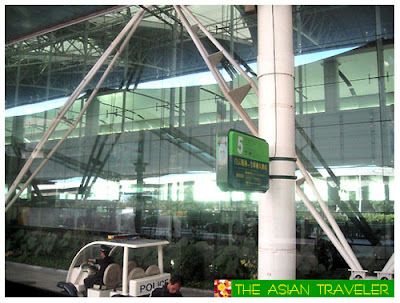 It is the largest airport in southeast China, flying to 32 cities in China and major Asian destinations. 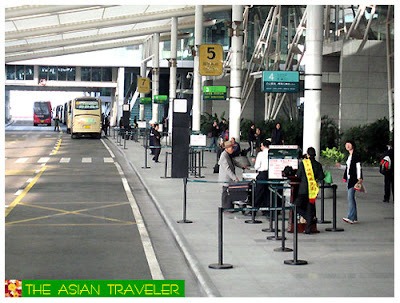 The airport is the main hub of China Southern Airlines and a focus city for Shenzhen Airlines. There were only very few people and we saw several foreigners with their newly adopted Chinese babies. (For those who have no idea, Guangzhou, China is known for child adoption programs.) I often found myself staring at these cute and adorable little angels. If I were only a millionaire, I would love to take them all home and give them the best care, the best chance in life they could ever have. Ahhh.. Ok, enough of the reverie. Our check-out was fairly quick and luggage was offloaded soon. Afterwards, we headed directly outside the terminal building to look for a public transport. Soon we grabbed a bus called Airport Express (operated by the Airport Express Transportaion Company of Guangzhou Baiyun International Airport), and headed over to the city center. Lucky for us, queues were relatively non-existence and we saved a little bit of cash. Fare was only 15 Yuan per person and travel time was 30 minutes. The only downside, the bus dropped us off about a 5-minute walk away from Dongfang Hotel. That situation was little inconvenient since we were carrying our entire luggage with us. Plus some locals approached us and made a few offers to go to their hotels but we just ignored them. Note: There are also Taxi services to and from the airport. But have your hotel address / directions written in Chinese characters as most cabbies do not speak English. The standard fare to central Guangzhou from the airport is about 110 Yuan if metered. Do you speak mandarin? I wish to visit China one day but with my limited vocab in mandarin that might be a problem u think? Ghostpipe, unfortunately I don’t speak Mandarin so I make my hubby do all the talking. My husband speaks Fookien fluently and a fairly decent Mandarin. And he can also read and write moderately in Chinese characters.